“80% ice cream, 20% chocolate,” need we say more? 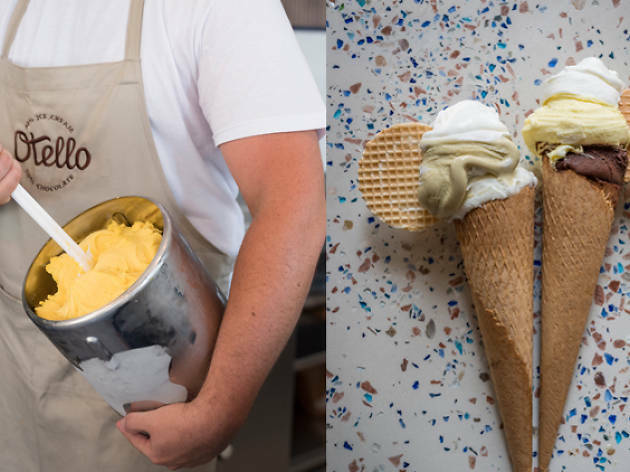 When it comes to gelato, Tel Aviv has already secured its key players. Locals love consistency, but once in awhile, a dark horse steps onto the tracks. 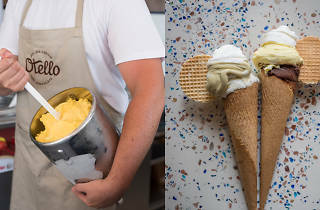 Otello Gelato, the shiny new Dizengoff ice cream parlor, is that dark horse. Don’t just peer through the huge glass-paneled windows, step inside and choose from a panoply of flavors ranging from salted peanut to all the chocolaty combinations your heart desires. But that’s not all, what really sets Otello apart is their two glorious chocolate fountains–one milk and one white–running at all times. Toss in a hidden surprise at the bottom of each cone and an impressive selection of sorbets and you’ll never want to leave this frozen dessert haven.